Now since I have decided to keep updating my blog on regular intervals, I have started working on getting my hands on Sketch Pad. Started off with Zentangle. 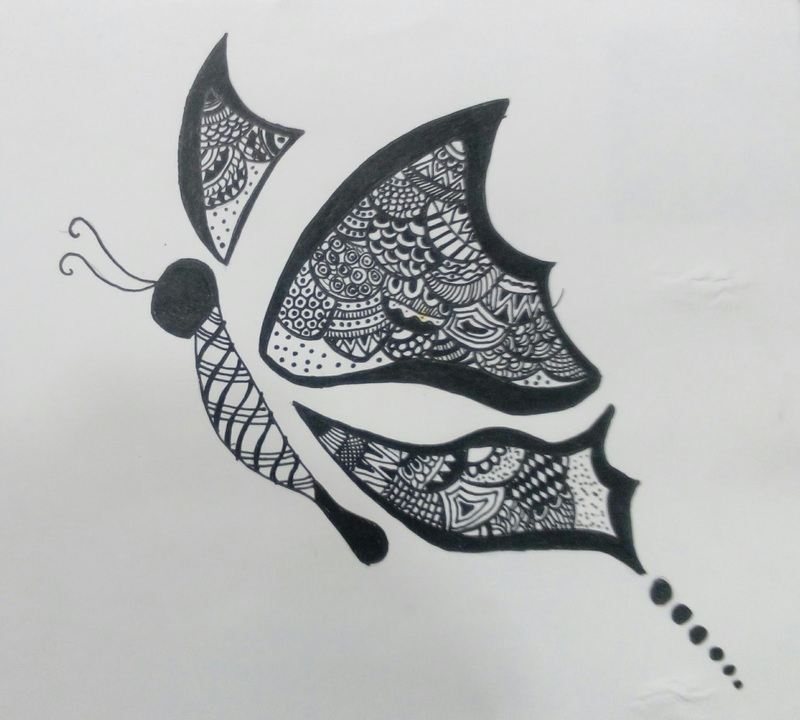 Came out with this Zentangle Butterfly. Loved doing it.